*NOT AN ARCADE* Retail store. Games only playable during private/special events. See description for biweekly public events. Joystix Classic Games and Pinballs has been serving Houston and surrouding areas since 1987. Our first machine was a stuffed animal crane and a two car garage served as our workshop. After years of continual growth, we know have one of the largest showrooms in the country. We carry most major manufacturers products in the amusement industry. 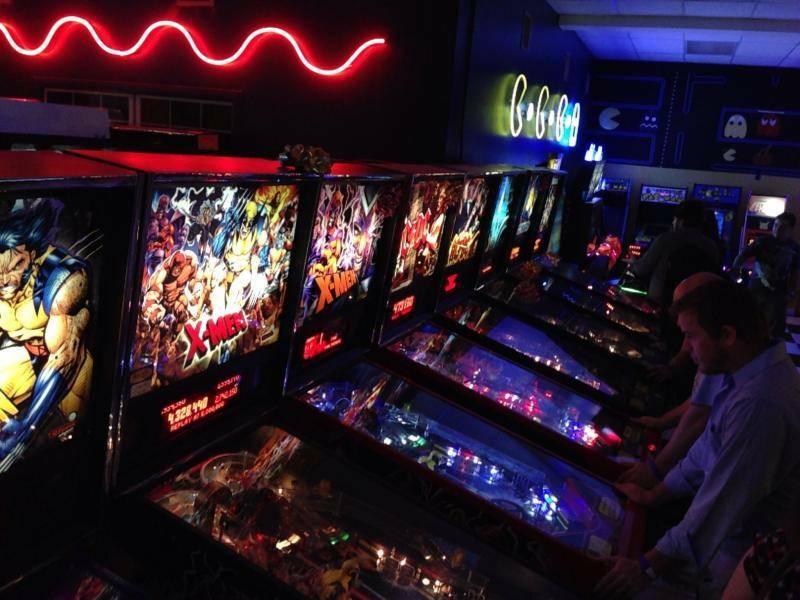 We always maintain close to 250 classic and new arcade games, pinball machines, jukeboxes, air hockey, dart machines, photo booths and much more in our showroom. Joystix takes pride in being the only retailer in Texas that not only provides in house service but also accepts trade-ins toward new equipment. We have a vast networking system and can locate almost any game you desire. Our customer service is second to none and you can always reach me the owner, Charlie, instead of any answering machine after 5:01p.m. If you are looking for a particular game or an awesome place for your party, Joystix has the experience and integrity to satisfy your needs. Every first and last Friday of the month, Joystix hosts 'Pac Man Fever'. It's a PARTY - the music is blasting, and you can get drinks at the bar and bring 'em into the arcade - where every game is set to free play.